Children will find lots to enjoy in Nova Scotia, including museums, tours and hands-on activities. Starting in Halifax, the capital city, is a great idea. 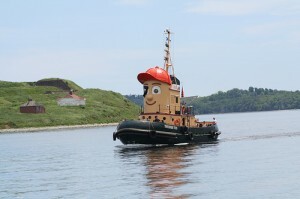 There’s plenty for kids to do in Halifax, including a Theodore Tugboat tour of the harbour and the Discovery Science Centre. The Alexander Graham Bell Museum in Cape Breton, the Museum of Industry in Stellarton and the Fisheries Museum in Lunenburg all offer good entertainment for kids. The dinosaur exhibits at the Fundy Geological Museum in Parrsboro are also a hit. Step back in time at the Fortress of Louisbourg in Cape Breton and Sherbrooke Village on the eastern shore or go see the deer, bears and moose at the Shubenacadie Wildlife Park. While traveling along Nova Scotia’s northern coastline, don’t forget to stop and see how oats were dried and ground at the Balmoral Grist Mill near Tatamagouche. If your kids have a wild streak, take them tidalbore rafting. A whalewatching trip is calmer but don’t forget the seasickness pills! And of course there’s endless camping, hiking, canoeing and swimming in places like Kejimikujik National Park and the Cape Breton Highlands National Park. A day spent rockhounding in Parrsboro is also lots of fun. On a hot summer’s day, it’s hard to beat an afternoon in the surf at Melmerby Beach. 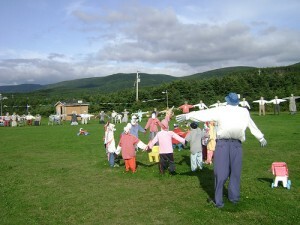 When you’re touring the Cabot Trail, drop in and see Joe’s Scarecrows near Cheticamp.